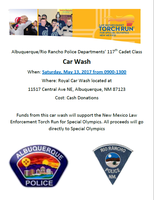 The joint Albuquerque and Rio Rancho 117th Police Cadet Class is hosting a fundraiser in support of the Special Olympics Torch Run. 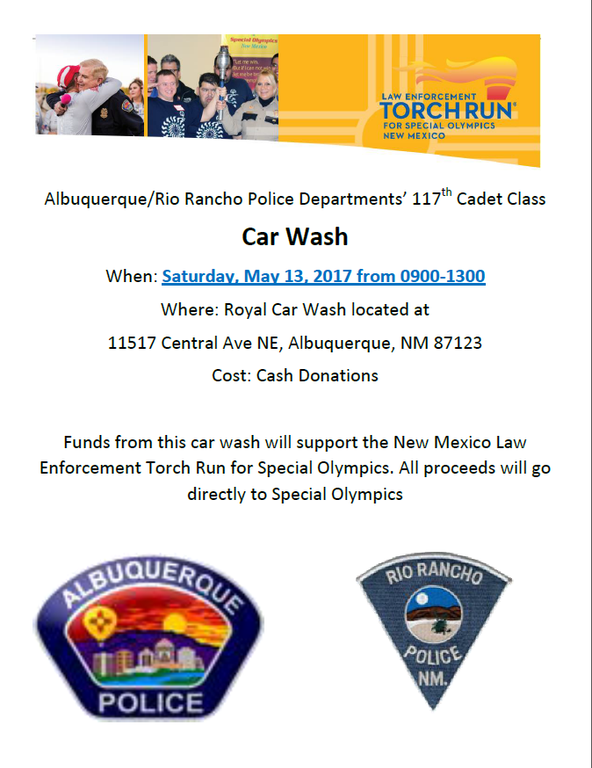 Our cadets will be washing cars and meeting members of our community, and they hope you will help them further our community policing efforts. This is a wonderful opportunity to meet Class 117 which will graduate from the academy in June and wish them well. They will be accepting cash donations. All proceeds will benefit the Special Olympics.